This customers' feet were so difficult that he certainly needs bespoke shoes. He felt that no shoes fit his feet well. 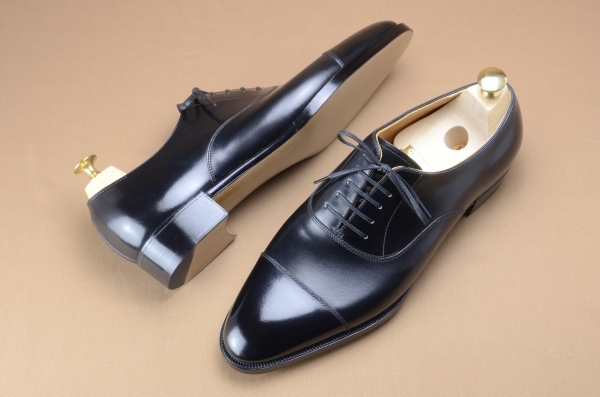 But he needed to have leather shoes and to walk in them very much for his professional life. Because of this, he experienced a lot of difficulties with finding good fitting shoes. He chose black oxford shoes for his first pair from us. They definitely can be used on business as well as formal occasions. Before he received this first pair from us, he decided to already order his next pair because he was going to be transferring overseas soon. 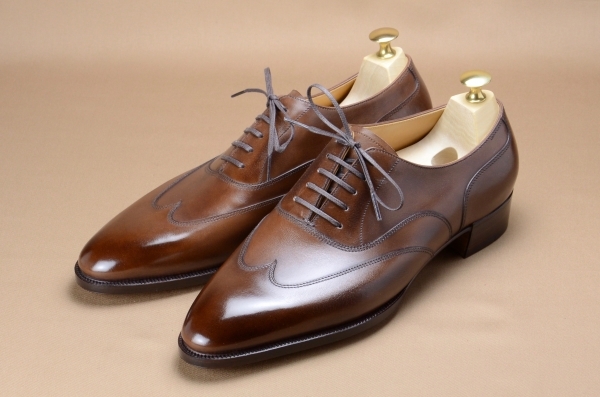 The second pair was a pair of blind brogue shoes. 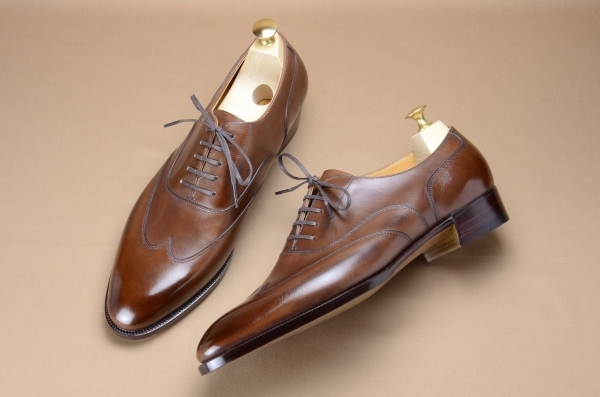 The bright brown colored leather added a casual feel to the shoes. 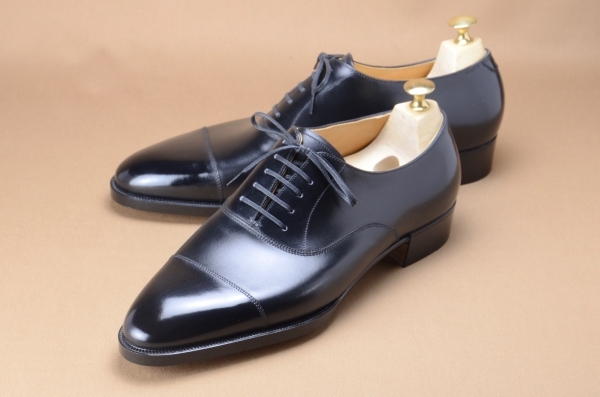 We could not hand these two pairs to him in person, but we heard from him that he liked them very much including the fitting after he received them overseas. We think he ordered these two pairs of shoes at once because he wanted to bring good fitting shoes to business occasions and for his transfer overseas. We hope these two pairs remove unnecessary stress from his walking. Furthermore, we hope they ease his way into his new life and work overseas.